Indian Raita is one of my favorite condiments to serve with Indian Food, it’s quick and easy to make and requires no cooking. There are of course many variations of this recipe, but my version is pretty simple and easy to throw together without any fussy steps. Raita is a perfect side dish to serve alongside your favorite Indian recipes such as my Chicken Biryani, or Chicken Tikka Skewers. What is Raita and where does it come from? 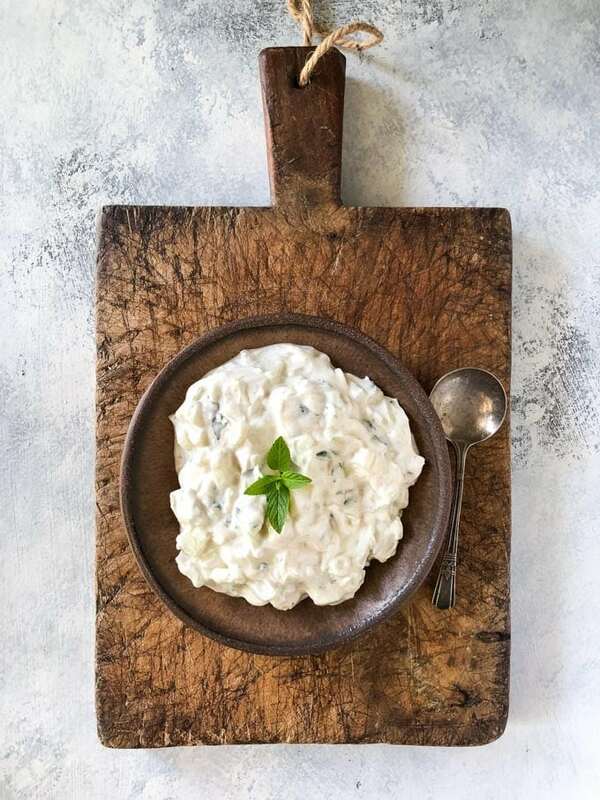 Raita is a simple Indian condiment or yoghurt based side that often contains vegetables (such as cucumber) and various spices to season it depending on the recipe. It’s intended to be served alongside spicy food as the yoghurt has a cooling effect and works really well as an accompaniment to many Indian recipes. Step 1 – Start by peeling and chopping the cucumber, then wash, peel and chop the mint leaves. Step 2 – Measure out your salt and cumin into a small bowl. 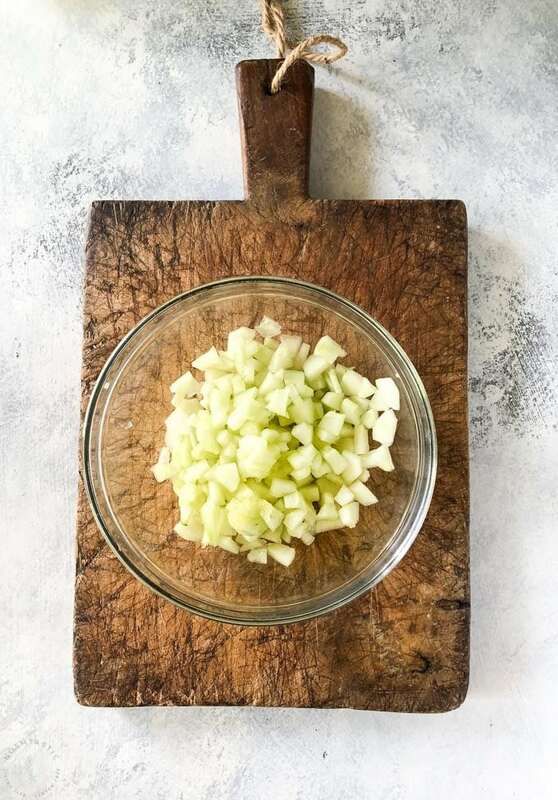 Step 3 – Mix the salt and spices into the yoghurt, then add the chopped cucumber and mint and stir well to combine. 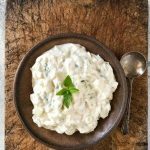 Is there a difference between Raita and Tzatziki? 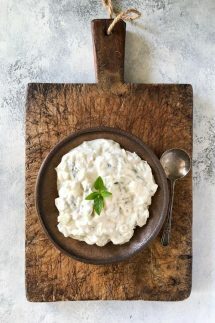 While Raita and Tzatziki appear to be very similar as they share a few common ingredients, there are a few differences that set them apart from one another. Raita comes from India, while Tzatziki hails from Greece. Tzatziki is most often made with cucumber, but Raita recipes can use other vegetables depending on who is making it. 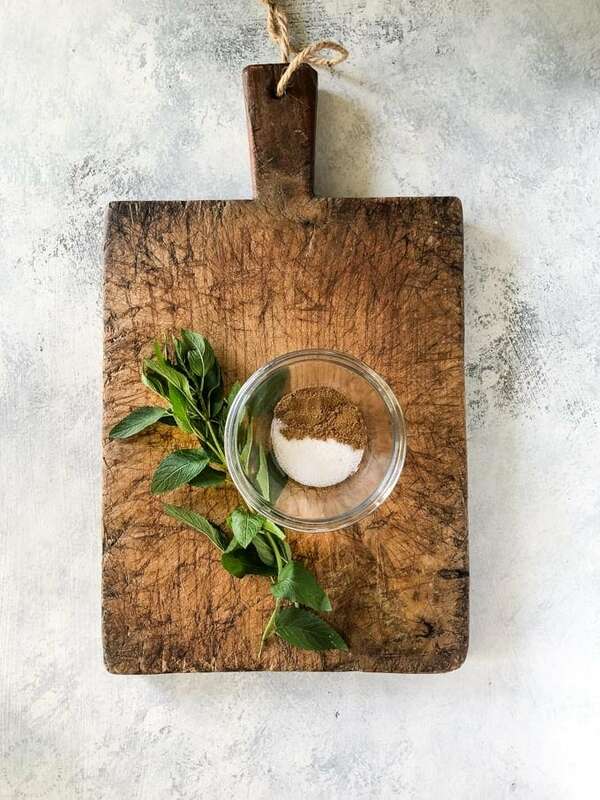 In many USA versions of Tzatziki you’re more likely to find garlic, lemon juice and herbs such as dill added to the yoghurt, whereas Raita often has cumin and sometimes coriander added, and mint is usually the herb of choice. What do you serve with Indian Raita? Raita is an excellent side dish or condiment to serve alongside most Indian recipes, especially if they are spicy and hot as the yoghurt will help to cool the dish. My Chicken Biryani or Chicken Tikka recipes are great options to serve this Raita recipe with! Indian Raita is an authentic condiment for many Indian recipes, made with yoghurt, cucumber and fresh mint leaves. 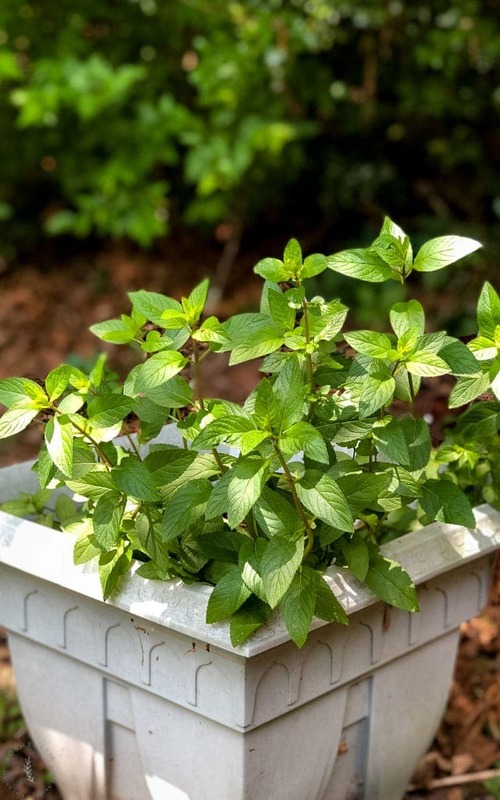 Wash and pat dry the fresh mint leaves, then finely chop them. Wash, peel, and chop the cucumber into small pieces. Add 1 cup of natural yoghurt to a bowl and add the cumin and salt, stir well. Add the chopped mint and cucumber to the yoghurt and mix it all together. YOGHURT - I prefer to use Greek yoghurt because it's thick and works better for this recipe. 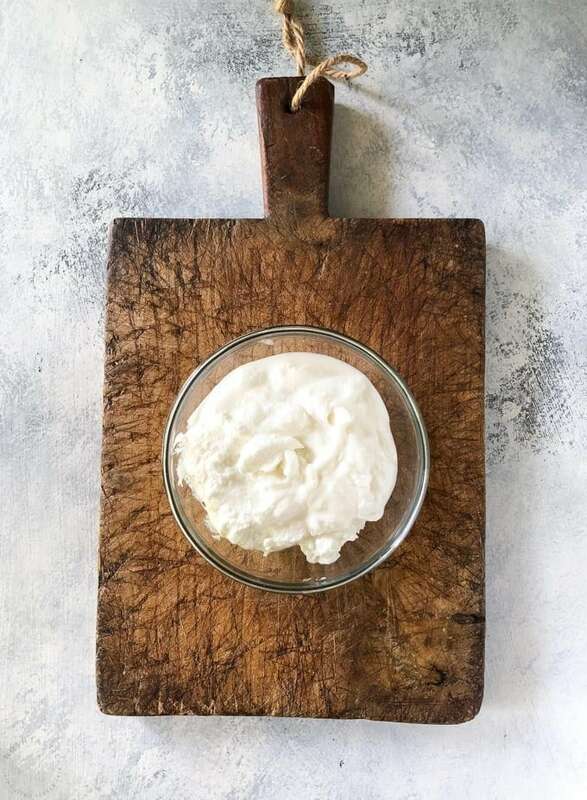 You can strain natural yoghurt to remove some of the liquid if you prefer, but using Greek yoghurt is an easier option.